as silence fills the halls. Just breathe. That's what I am telling myself right now as the 5th graders are walking across the stage and graduating down the hallway. I'm trying my hardest to keep the waterworks at bay, because when it starts it just won't stop. Every year I am always a little sad to see them go, but this year it is different. I took in a small group of kids in a little after school art club and I have never felt so attached. I can't imagine what homeroom teachers feel like, having the same children everyday for the entire year and then having to say goodbye. I might also be effected by the fact that I've taught this particular group of kids for 5 years now and I can't imagine my school without them. So many stories, so many memories, I will truly miss them and remember one of the best years we've had together. I haven't written poems lately, but as the final bell sounds I am feeling a bit reflective. The 2013-2014 school year was a great one for me. 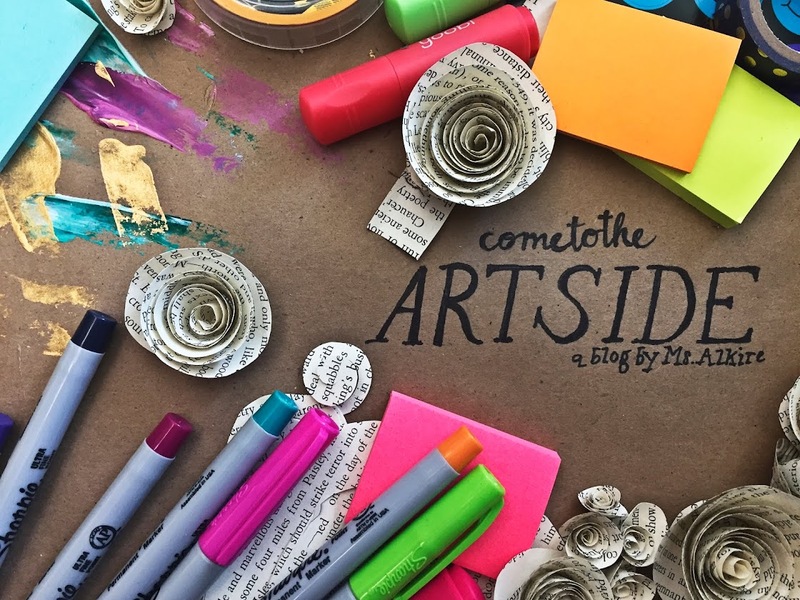 I challenged myself to use more technology and to create more rigor in the lesson plans, challenged my students with artist statements and creative exercises. I started this blog when I didn't think I had a lot to say and now all of a sudden I can't stop sharing my experiences! I ventured out with my Mini Da Vinci's and Art After Hours and got so attached to students that I don't know what I'm going to do with myself now that they are gone! I was awarded October 2013 teacher of the month, helped with the 5th grade play, I submitted proposals for PD sessions in our district and a load of other things! It all happened so fast, where did the year go? I think this year has definitely been my greatest ever and I can't believe it's over! What a wonderful way to end the first five years of my career, here is to the next five! Sum up your year for me, how was it? Good? Bad? Challenging? A great learning experience?